A synthesizer is composed of oscillators, filters to modify the vibrations produced by the oscillators, and finally, and amplification component so you can hear the vibrations. When the first synthesizers were built and utilized by progressive rock heroes like Emerson, Lake & Palmer, they were massive futuristic looking boards. They looked like they might be the motherboard of a spaceship or something (certainly this look was agreeable to the sci-fi/ fantasyspirit of prog-rock). 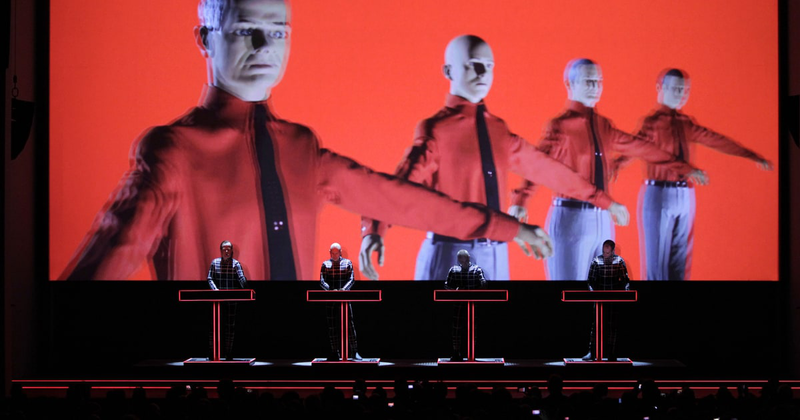 Kraftwerk’s experiments with early Moog’s to make some of the first ever electronic dance music is worth noting here as well. When Bob Moog developed the first synths that were available for retail, this changed. The guts of the synth could be built on a smaller scale. The closed nature of most Moog manufactured synths was termed ‘fixed architecture’ synthesizers. An easy point of reference is Apple computers and Steve Jobs: Jobs was so obsessive about preventing consumers from tinkering with his products, that he made it virtually impossible to access the insides of the computers without breaking them. 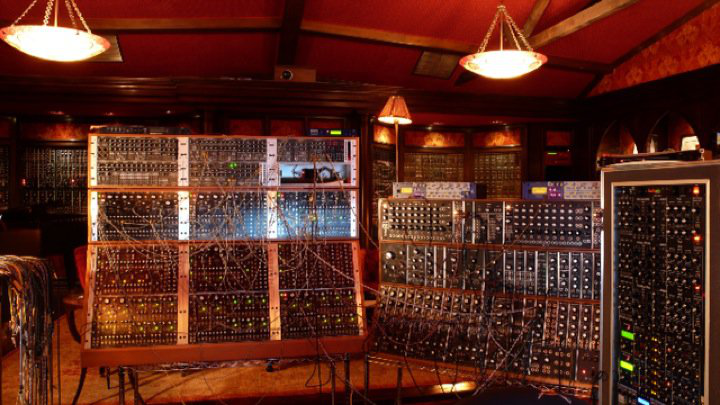 To be fair, Moog still offers synths in their raw form: just the guts of the machine. You can plug whatever trigger you want into a Slim Phatty and dispense with the carefully designed shell. But this would still be considered fixed architecture. If you want to fall through the rabbit hole of fully customizable modular synth sounds and get totally off the grid, Eurorack is currently your best option. Fixed architecture synths offer a fast, repeatable result. However, a subculture of mad scientists working with speed and efficiency outside of the traditional, slow moving world of popular brand synthesizers (with prolonged, drawn out product cycles) is increasingly churning out mouth wateringly sophisticated synth technology with incredibly rich tone. With a modular Eurorack synth, custom oscillations, step sequencers, modulations and filters can be added to your pre-existing analog synths. Additionally, and even more excitingly, you can use a modular synth to process guitars, drum machines, or anything else, to create otherworldly sounds. If you’re taking professional music lessons from a synthesizer expert, mention Eurorack and watch their eyes light up – chances are you won’t be able to get them to shut up about it. If they happen to own one of these magnificent specimens, ask if they’ll bring it to your next lesson. In the right hands, these instruments can create some truly mind-blowing sounds. The upside of modular is the spontaneity, which unfortunately has its downside as well: with modular synths, it is extremely difficult to reproduce the same effect twice. This is at once their magic and their downfall. For creating wild, Rothko-esque musical experiments, they are unrivaled, but it’s difficult to capture that beauty. If you get a good take in the studio, you could always convert it into a sample to trigger on stage, and while this is a valid solution, some purists might say that it cheapens the integrity of your live show. Really, it’s up to you. Currently, the modular synth in the Eurorack format is experiencing a massive amount of buzz and popularity. The number of manufacturers has jumped from a select few to about eighty and there are hundreds of different versions on the market. Are they cool? Definitely. Are they worth the price tag? That’s for you to decide.